Several housing experts are predicting that this year will be the last chance for homebuyers to cash in on the weak housing market. 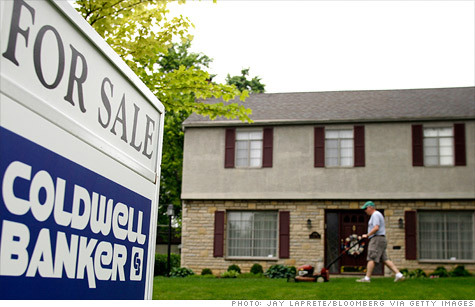 NEW YORK (CNNMoney) — Buying a home may never get any cheaper than this. Several housing experts are predicting that this year will be the last chance for bargain hunters to cash in on the best deals of the weak housing market. have better access to mortgages as they get their finances in order and improve their credit scores. Some economists, like Trulia’s Jed Kolko, expect home prices to pick up even more quickly. Trulia’s data shows that the national average for asking prices already increased 1.4% in the first quarter of 2012, compared with the last three months of 2011. “This is a strong indicator that we will start seeing home price indexes, like the S&P/Case-Shiller, start to report home price increases this summer,” he said. Prospective homebuyers who’ve been sitting on the fence shouldn’t worry if they aren’t quite ready to make the leap. Analysts are predicting that the initial price gains will be modest, at least, in most markets. Hoffman, for example, is forecasting a 2% increase in 2013 compared with 2012. Meanwhile David Stiff, chief economist for Fiserv, predicts that prices will turn in the last quarter of 2012 and will rise 4.2% for the 12 months through September 2013. That percentage dropped 15% year-over-year to 3.1% through the end of 2011, according to the Mortgage Bankers Association. And the decline is accelerating: More than 70% of the decline came in the last three months of the year. Before things slow down, however, buyers should brace themselves for a temporary spike in the number of foreclosures as banks start expediting the processing of hundreds of thousands foreclosures that were stuck in the system following the robo-signing scandal. That backlog should move more quickly now that new guidelines for processing foreclosures have been outlined in the $26 billion foreclosure settlement. Many of the bank-owned properties currently coming out of the foreclosure pipeline are being snapped up by investors who are fixing them up and renting them out — often to those who were displaced by the foreclosure of their own home. That has helped to lift prices on foreclosed properties, according to Alex Villacorte, the director of analytics for Clear Capital, which specializes in housing market valuations. “That could have a significant impact on the market overall in terms of providing a rising floor to home values,” he said. In some markets hit hard by foreclosures, the turnaround in prices is already underway. Phoenix recorded an 8.4% jump in home prices during the three months ended April 30, compared with the three months ended January 31, according to Clear Capital. Miami saw a 4.6% increase quarter-over-quarter through April, andTampa, Fla., was up 4.4%, according to Clear Capital. Goodbye 3.8% mortgage. In addition to home prices, mortgages could also move higher. Mortgage rates have been at or near historic lows for much of the past six months. The average interest rate for a 30-year, fixed-rate mortgage has not topped 4.5% since July 2011 and this week, it hit 3.84%, a new low. The Mortgage Bankers Association is forecasting that the 30-year fixed will hit 4.5% by the end of the year. Greater demand for loans will help fuel the increase, according to Lebda. Even though mortgage rates have been cheap, borrowing for home purchases has been sluggish. The Mortgage Bankers Association estimates that homebuyers will take out mortgage loans totaling about $415 billion this year, an increase of less than 3% compared with 2011. Next year, however, it forecasts that amount will almost double to $706 billion. As housing markets stabilize and prices stop falling, homebuyers will be even more confident about buying, said Humphries.